This entry was posted on August 21, 2010 at 4:32 pm and is filed under 2010 Booker Prize, Author, McCarthy, Tom (2). You can follow any responses to this entry through the RSS 2.0 feed. You can leave a response, or trackback from your own site. Funny Kevin, it doesn’t feel like a “4 out of 5” review to me. But I think you’re being unfair to yourself: your criticisms strike me as acute, and introduce some concerns that have been missed or ignored in other reviews I’ve read. 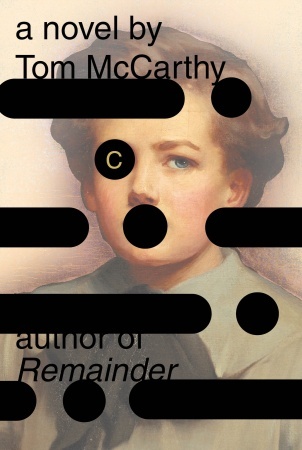 I’m interested in this for sure – McCarthy seems like an interesting writer who is trying to do something different. Leroy: I certainly agree with your last sentence — and the Booker listing has nothing to do with that sentiment. I don’t think the novel is perfect by any means, but it does reward the effort of reading it, even if there are some clunkers along the way. So glad you liked C, Kevin. I’m really looking forward to reading it. It looks like one of the few standouts in this year’s longlist. Crake: It is not an easy read but it is a rewarding one. Good luck. ‘Magic Mountain’ is also one of my favorites. Another of Mann’s books I really like is “Buddenbrooks”. I’m still on the fence as far as reading Tom McCarthy. Tony: Buddenbrooks is another of my favorites — in fact so far only Joseph and his Brothers has been beyond me. Mind you, he wrote so much that I have hardly scratched the surface. Have you started C or are you still considering. It is not a difficult read (in the sense that the narrative flows logically and the writing itself is reader friendly) but it is definitely a challenging one — I was aware that there were several consistent themes present in the subtext and that I was overlooking a number of them. In that sense, I think McCarthy is like Mann — which also means that he is not going to be for everyone’s taste. Lovely stuff Kevin, a really thorough response to a book that deserves one. I suggested elsewhere that with a book so packed with references, themes and ideas it might only be possible to cover it all in a series of reviews (and somehow fitting) like the network of bloggers responses that have appeared recently. That might still be the case but a single response from someone who’s taken the time to read it twice already has been great for a fellow reader to savour. Despite its flaws I’ll be really disappointed if this isn’t on the shortlist and think it may even have a chance for the prize. Will: Thanks for the kind words — I suspect this is a novel that will reward even further readings, but that will have to wait for a while. I also will be disappointed if C does not show up on the short list, but will be surprised if it wins the prize. Given the other titles on the longlist, I suspect it is simply too complex for the tastes of this year’s jury. And there are enough parts where it does drag to provide arguments against it. I agree also that the various blogging reviews that have shown up have a common theme: “This book is too complex for me to review in a single post.” That is not a criticism at all — I suspect serious readers are going to find a number of very different themes in this novel, which is to McCarthy’s credit. I finished C on the weekend and just loved it. It’s giving Mitchell a run for his money I think and I’m torn now between which book I’ll be rooting for. Yes, academics will have a field day with it and rightly so – I already can see a dissertation on cocoon imagery alone! And thanks for the description of the UK cover – I find the North American one distinctly creepy. Actually one of my first thoughts on finishing the book was, what would A.S. Byatt think? given her interest in science and insects and also since C covers almost the same years as The Children’s Book (I know you didn’t care much for it, but it was one of my favourite books from last year). Of course their approaches are completely different, but I think that’s what made reading C so appealing for me – to see how a writer takes that same society and some of the same themes and completely adds another dimension of thinking about that historical era. The war section was my favourite; it’s so hard to write about that war without resorting to cliche and both Byatt and McCarthy did it wonderfully. I am not a science geek by any means, so I found the technical descriptions of plotting enemy locations using microphones and aerial signals quite fascinating. Plus McCarthy’s way of describing the landscape from the air was just beautiful and astounding to me. And has any novel conjured up sound as well as this one does? I wish I had time right now for a second read because yes, there are so many levels to this novel. And McCarthy can do comic – read Men in Space. Do you think C will make the shortlist? Maylin: I can do nothing but second all of your observations — and I particularly appreciate the contrast you make with The Children’s Book. For me, Byatt became so entranced with her detail that it smothered the book, while McCarthy nurtures it to make his myriad of themes complete (but that is just one reader’s impession). That cocoon dissertation might actually have to be a multi-volume project, given the way he uses aspects of insect imagery in every chapter of the book. Many thanks for the pointer to Men in Space — I will be reading it. Damon Galgut is still my personal favorite, but you won’t be seeing any complaints here if C wins the Prize. If it does not make the shortlist, however, I will be howling. Just another layer in this multi-layered novel. Has anyone read Tintin and C and could comment? I have to also chuckle at and applaud McCarthy for the title. It almost forces readers and book buyers to remember his name, because if you just type “C” in any search engine or amazon or even the publisher’s website, this book is never going to come up. I have C on my list and I’m glad that you liked it. I’m certainly one to read modernist fiction so I’m looking forward to it. Thanks. Maylin: Thanks for those quotes. As I am further pondering this novel (and I think I will be doing that for a while) I think there is a link betweem those thoughts and the Mann-like section at the spa that annoyed me when I was reading the book. I do find that one of McCarthy’s themes is the tension between the rational and spiritual — or whatever version of that you prefer as a description (the concluding chapter certainly brings that into focus). 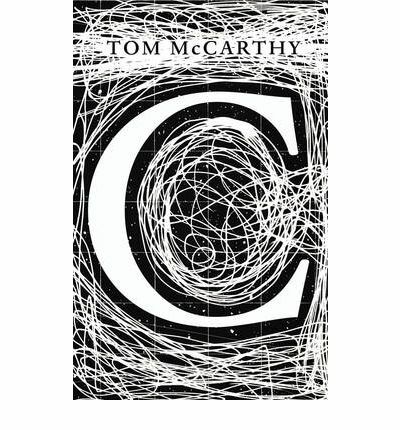 I see the radio signal/antennas as one of McCarthy’s ways of raising that — on the one hand, the science involved; but on the other, the speculation that the signals bounce around forever inside the sphere and exert another influence (perhaps not spiritual, but other worldly to the rational). All of which, of course, is played out to great comic effect in the wonderful seance scene. Kinna: If you like modernist fiction, I am pretty sure you will like this book. Unlike much work that carries that description, this also has a sense of humor. This is still the only book on this year’s list that I’m excited about reading. It’s interesting to hear the flaws, which don’t put me off but which are useful warnings. I’m glad though I haven’t read The Magic Mountain yet. That entire reference would have passed me by, likely still shall since I won’t get to read the Mann for ages yet. A very fair review Kevin. I like how you brought out both strengths and flaws, and it’s intriguing how you struggle to summarise it. Definitely one to look out for from my perspective. I may though start with his backcatalogue and build up to this one. Max: One argument for starting McCarthy with this one for you (and it has not shown up in detail in reviews that I have read) is that there is a classical mythology stream that runs throughout the book as well. I am weak in that area so I only partially understood it and conveniently ignored it in my review. I know you are stronger on that and would find more. I also thought of you towards the end of a book when Serge is in Egypt and a young Englishwoman he picks up complains that a Thomas Cook guide recommended they read Herodotus to get a leg up, but everyone else read the same guide and also has the book. I suspect you would find more in the Egypt portion from your own investigations of that kind of monumental history. I certainly intend to explore McCarthy’s back catalogue. Maylin’s comment suggests he has explored some of these ideas before — I am always interested in authors who test ideas in one book and then explore them further later. Finally, I think you might consider this as a complement to your project of reading all Remembrance of Times Past. They are set in the same time frame but are dramatically different books — Proust is interested in how we got to where we are (well, how the French got there) while McCarthy is a study of the tensions of competing notions of what will get us to where we are going next. Proust did come to mind a couple of times while I was reading C (mainly in a contrast I must admit) and I think you might find that interesting given your project. See what I mean about how many themes are going on in this book? And how inadequate any short review is going to be at even raising them? I’m sure glad for comments that allow me to bring them up. Kevin – I’ve never read a Tintin comic in my life, but I’ve gone and ordered McCarthy’s book on the subject – like you, I’m interested in how the ideas in C developed from his other interests. No doubt it will shed new layers on this novel that hadn’t even occured to me. Any novel with vets returning takes on new meaning now with our Iraq vets coming home. Shelley: I think you are quite right — Serge’s personal descent in London has a poignancy that both the U.S. and Britain will see in the post-Iraq experience. And they will be joined by other countries (including mine) when the Afghan disaster finally starts to draw to a close. Your comment also raises yet another theme in C that applies in the present. Just as telegraphic and radio communication permanently altered the world at the turn of that century, the explosion of communications technology and the World Wide Web is having a similar impact on ours. There really is a lot going on Kevin. Fascinating. Dense stuff. I have to admit, you have me quite excited about it. On an unrelated note, during your travels through Unsworth have you ever encountered The Songs of the King? Max: I’ve looked at The Songs of the King but never read it. Unsworth’s books that go way back into metaphor are least interesting to me and since I don’t have much interest in this aspect of Greek history I have never picked it up. Thanks Kevin. I have a great love of the Illiad, hence my own interest. The Iliad? I love The Iliad. I might have to check out The Song of the King. So Trevor, the next time you are thinking about C start wondering about McCarthy’s references to Homer and the journeys and wars that are part of his epics. If you don’t mind, Kevin, I’d like to hear your thoughts on that. McCarthy brings up Homer as an inspiration for how he approached the war scenes in this book, and I don’t think he meant that as a reference to style as much as to perspective, but it’s been nagging at me that I can’t articulate anything meaningful on that point. I’ll keep ruminating. Trevor: I think you have to start consideration of that by going back to the deaf school presentation, where Sophie was the stage manager, in more ways than one. Part of my interpretation there is that Sophie (whom I have already observed I would have liked more of) symbolically becomes the novel’s version of Homer (she does create a very real brimstone after all). And I don’t know the myth that was being portrayed well enough to go further. But I would observe that Carrefax Senior’s need to look over his shoulder and explain things suggest that this section has a relevance that might require explaining. If we accept Sophie as Serge’s classical attachment to a Muse (as opposed to his father’s influence with science, however twisted that might be), I think that helps to explain some of the war scenes. At the highest possible level, he knows the battle but he doesn’t know the war (my limited knowledge of The Iliad says that is a comparator). He sees some things in great detail and reports on them, but has no idea why (more Iliad). Where my limited experience falls apart is when he is in prison camp. At the same time, of course, McCarthy is also playing with his “insect” metaphor — Serge is just a “bug” in the back of a plane, looking at things from high in the atmosphere. If we extend the metaphor to the realist/spiritualist, Western/Oriental conflict, is Serge merely a minor player in some game he doesn’t understand or part of a much grander drama where he doesn’t really know his part (more Homer there, I would say)? All of this then keeps building through London and eventually comes to a resolution (I think McCarthy eventually makes a clear choice) in Egypt. The references here, I think, are the conflicts between the history that drives the situation and the seemingly minor actions that take place in the present. Thanks, Kevin. I saw a lot of references throughout (and I’m sure I missed several too) to both The Iliad and The Odyssey, but I wasn’t quite sure what to make of them. I wondered if they were peppered in as another reference, something that I thought made the book, on its surface, quite modern. I’m glad to start seeing some of the potential places this can take the reader. Trevor: We have this backward. I should not be leading anyone through a discussion of influences of Homer, since I have not completely read either epic. Still, Kevin, though I recognized several references, sometimes I wondered if they were just that — references. It’s nice to put them on some ground where they can lead to interpretation. I also felt towards the end that I should have paid more attention to various parts of the book, especially Sophie. I have no doubt that a second read would fill in some of the blanks (or maybe dots and dashes is more appripriate). Graham: I suspect C could be read five or six different times, each time from a different point of view. I don’t think it is worth that much of my time, but I am pretty sure in the not-so-distant future a number of academics will be doing that.